Kingswood Business Park – Duggan Brothers Ltd. 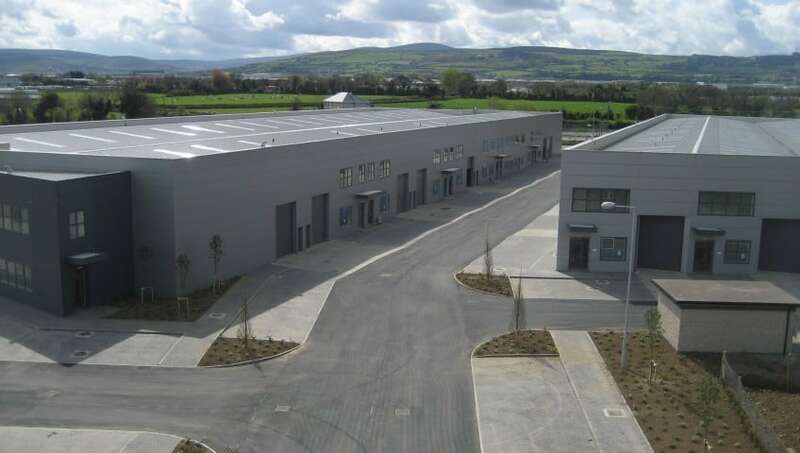 This Project involved the construction of 45 No.’ industrial units in 2 Blocks having an over-all floor area of 10,850 m2, together with ancillary offices. Block A contains 25 units and Block B contains 18 units. The main structure of the building consists of a structural steel frame with external wall cladding and pre-cast floor slabs, the units were divided with internal blockwork partitions. This project also included external site-development works consisting of a Spine Access road with tributary access roads from this to Blocks A & B, together with car-parking areas, ESB sub-station, Stormwater’ attenuation tanks, on-site foul and stormwater drainage, the various utility connections and all associated site’ works, at Kingswood, Baldonnell.